Silversea Expeditions, is pleased to announce, that for the month of February, new bookings to the Kimberley aboard Silver Discoverer will include complimentary flights for Australian guests. Silversea clients will have access to round-trip Economy Class flights or Business Class upgrades from select gateway cities in Australia, in addition to one of the most unforgettable cruises Silversea is known for. 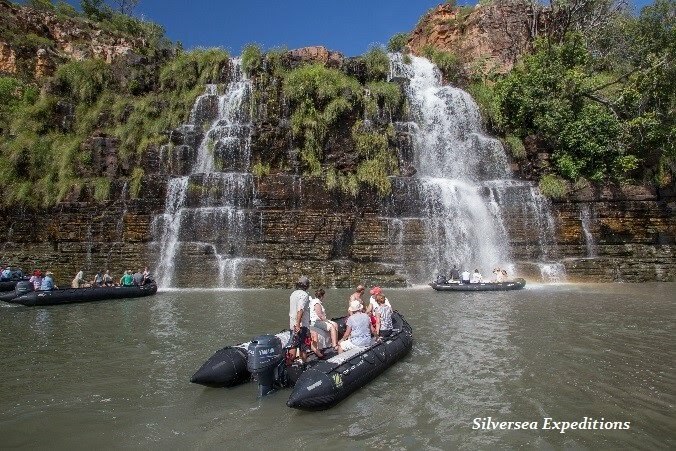 Silversea Expeditions invites guests to experience a unique opportunity to view the ancient wonders and thundering waterfalls of the Kimberley aboard Silver Discoverer on 10-day voyages travelling between Darwin and Broome. The Kimberley has experienced the wettest December on record, with Broome recording 410mm of rain in December (a 47% increase on the previous record from 1970), which is seven times greater than the normal rainfall of 58mm. For the duration of Silversea's expedition cruises in the Kimberley from March to May 2017, the famous Kimberley coast waterfalls, including King George River & Falls and Talbot Bay (Horizontal Falls) will thunder more spectacularly than ever before. The twin cascades of King George Falls are amongst Australia's highest, plunging over 80 metres. At Talbot Bay, the regions tides of close to 36-feet create an amazing spectacle. Depending on whether the tides are ebbing or flowing, guests can experience an exhilarating Zodiac ride to the "Horizontal Falls". Guests can expect to witness these extraordinary waterfalls, along with the rich history and wildlife of this region, aboard the elegant, warm and friendly Silversea vessel. "Our Kimberley voyages are an extraordinary experience that will amaze and delight even the most discerning travellers, and now with free flights, guests can enjoy even more exceptional value. The contrast between lush flora and fauna, dramatic landscapes and indigenous history is ideal for those seeking an unforgettable adventure. This season, with the tremendous December rainfall, will provide travellers with a once-in-a-lifetime viewing experience." "The freshly refurbished Silver Discoverer is the epitome of casual elegance and sophistication, making it the perfect platform for exploring the untamed landscapes of the Kimberley. With a team of 11 experts hand-picked for their expertise and passion for the region guiding travellers throughout the voyage, this truly will be a unique adventure". 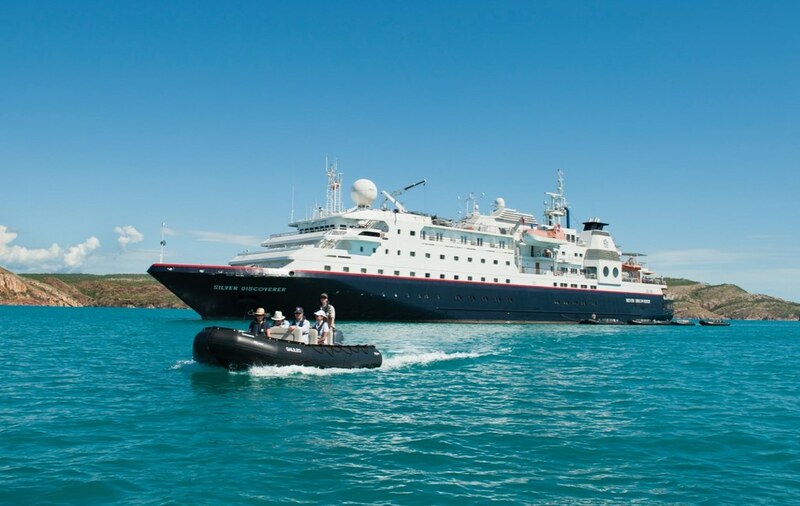 These voyages feature incredible itineraries which include 10-day sea explorations of rugged coast, imposing rock formations and deep gorges departing from Broome and Darwin. While in the Kimberley region, guests can: witness the spectacular tidal changes and semi-submerged world of Montgomery Reef; discover ancient and mysterious rock art; spot the White-bellied Sea Eagle, Osprey, Brahminy Kite or Peregrine Falcon; view King George's towering twin falls; and photograph the dramatic tiger-striped Bungle Bungle Range from above. "Silversea prides itself on offering a luxurious cruising experience through all-suite accommodations, butler service, complimentary spirits and fine wines, Wi-Fi and world-class cuisines" added Wilson. Departure dates for Silversea Expeditions' Kimberley 2017 voyages include: 6 April, 16 April; 26 April; 6 May; and 17 May. The new program offers guests a choice of any of the following flight options aboard a Silversea partner airline flight added to the already incredible voyage: an Economy Class air round-trip from capital cities within Australia; an option to upgrade to Business Class for just AU$1,995 per person from Eastern seaboard or $1,500 per person ex Perth. Guests can also take advantage of a number of added benefits when booking an air and cruise package through Silversea including: round the clock support in the case of disruptions, applicable transfers to the ship; fare protection as well as flexible payment and flight options. All-inclusive cruise package fares including flights are per person starting from AU$12,550 based on double occupancy in an Explorer Suite for 16 April 2017 departure. Not available in conjunction with Silver Select offer. Silversea Expeditions' fares include: all shore Zodiac excursions hosted by an expedition leader, all-suite accommodation with butler service, gourmet meals, complimentary wines, Champagne and spirits, Wi-Fi for all guests and all gratuities. These voyages are subject to availability. Terms and conditions apply.